Google Will Soon Own You! The pace at which Google is creating new products and solutions is mind blowing. From being a simple search engine to one of the most used email provider to mapping the entire planet and now wanting to provide high speed Internet – Google is slowly increasing its stake in our lives. 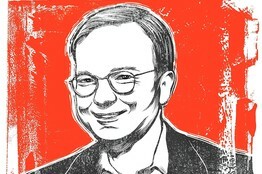 In a recent interview with the Wall Street Journal CEO Eric Schmidt outlined some of the future plans of Google and what it intends to do. His plan indicates that Google will live in our lives and will tell people exactly what they should do next because Google will have enough information stored on you where it can successfully predict what you might want or what you might do next. Not just that he even said that searches will be done on your behalf without even having to type it in! Eric Schmidt also said that “most people would like Google to tell them what they should be doing” when asked how people would reach to the whole idea that Google intends to simply take over peoples lives. He also said that as of today Google “roughly” knows who you are, where you are with a list of your friends and what you like and dislike. When asked if this is similar to an artificial intelligence system, he said that Google will be the world leader in AI systems with more information to process and understand and be able to predict what ones’ choices are. He said people will be so dependent on Google that it will be extremely difficult for a person to live a life not tailored by Google. Schmidt assured that all this will be possible and Google will make sure its end user is happy by providing adequate security to the data and taking appropriate measures to improve the system and to keep it bug free. He said such a system will not need any kind of external regulation. There are already rumors that Google needs to improve its security and many privacy issues were raised especially with Google maps snapping inappropriate pictures. Will Google own us in the future? Will we bow to a super power corporation that intends to control every aspect of our lives? It will be interesting to see how the governments will react to such an organization if ever Google were to own every aspect of our lives! Apple and Google having coffee?